Install laundry delivery ports in all of your bathrooms and bedrooms. You can send your worn dry clothing and bedding, including jeans, socks, underwear, bed sheets, towels, shirts, dresses etc. directly to the laundry room on demand with the touch of a button! Simple solution for the physically impaired or elderly. Fun and simple way to incentive for your young children and not so young children to NOT leave their clothes on the floor! Keeping a clean and tidy home just became a lot easier and so much fun. Send items to your laundry room from any room in your home, as you disrobe or make the bed. Gone are the days of piles of soiled clothing in bedrooms and bathrooms, waiting for someone to collect and carry them for washing. No more negotiating the stairs with armfuls of dirty laundry or heavy bulky laundry baskets. Add our system into your new home design, or retroﬁt to your existing home and save time, keep your house tidy and automate this daily chore for you and your family. 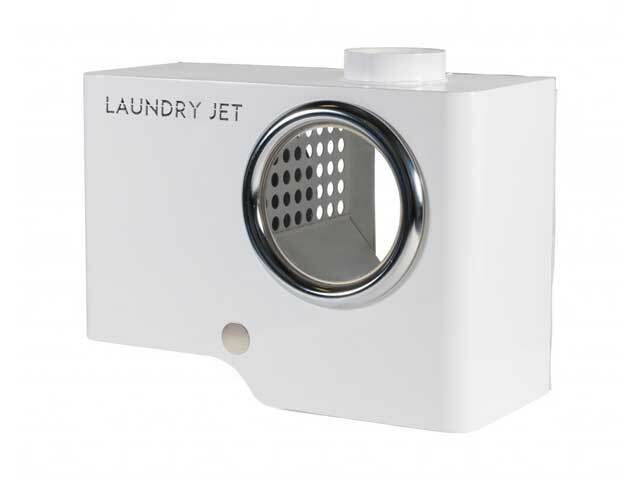 Laundry Jet is designed for any sized home or building with any number of rooms. Ports can be custom ﬁnished to your choice of colors if required.